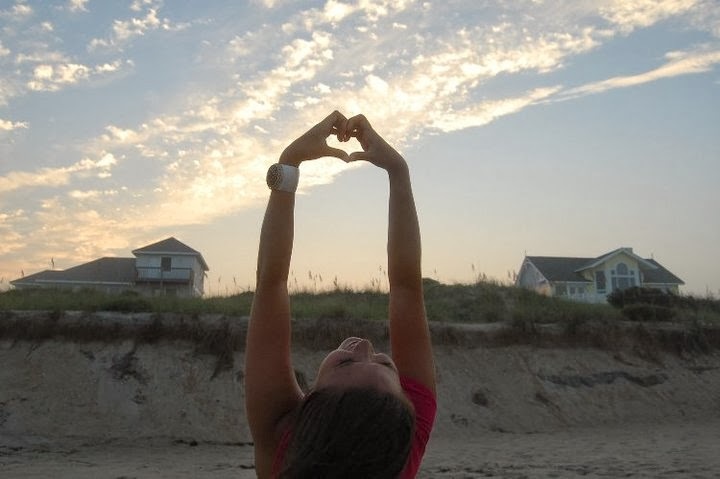 I don't know what it is about the Outer Banks. The string of barrier islands off the coast of North Carolina is prone to hurricanes and unpredictable weather. The cottages we used to stay in have since been completely swept away into the ocean a few years ago. The ocean is a murky blue-green simply due to the waves pounding and stirring up the sand. But still, it is one of my favourite North American summer destinations. 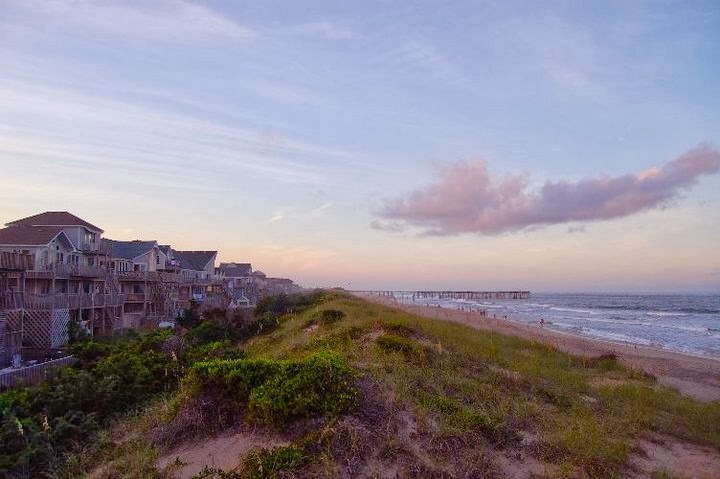 Every two summers, our family drives from Toronto down through New York, Pennsylvania, West Virginia, Virginia, and finally we make our way out to the coast, arriving at the Outer Banks. Maybe it's the feeling of reward once we hit the salty ocean air after 2 days of driving. 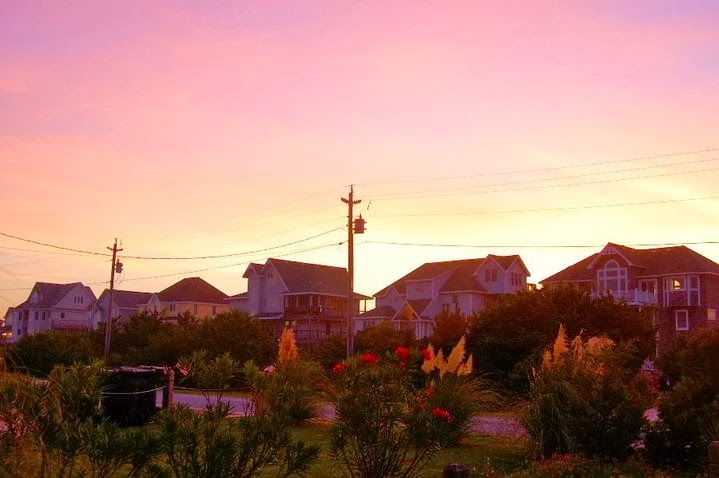 Maybe it's the always-changing sunrises over the Atlantic each morning, or knowing that this vibrant beach community in the summer becomes a ghost town in the coming winter months. Whatever the pull is, I just know I feel completely at peace in this place. Making our way through beautiful West Virginia. The cottages we rent are all built on stilts to adjust to the changing sand base. Often at night, you'll feel the entire house shake as the ground moves underneath you. Wearing: Style Stalker "Cult" Dress. So perfect for the beach! 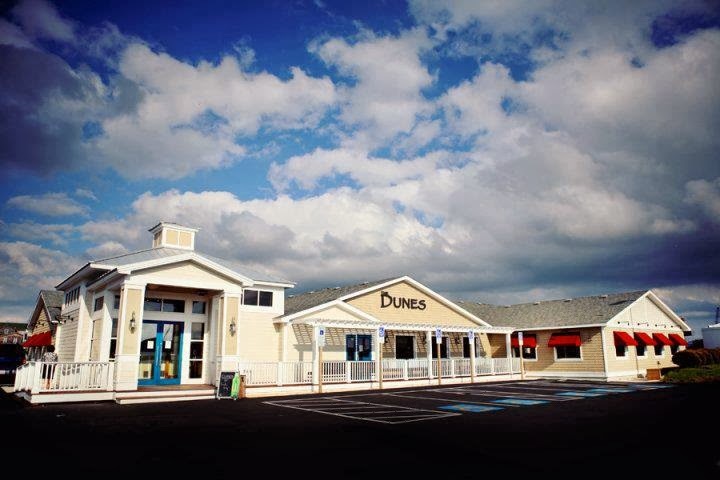 Must-eat: Dunes Restaurant in Nags Head. Amazing seafood options! The towns are spotted with one-of-a-kind surf shops, but this has to be one of my favourites. Secret Spot Surf Shop. One of the things the Outer Banks is known for is its lighthouses. 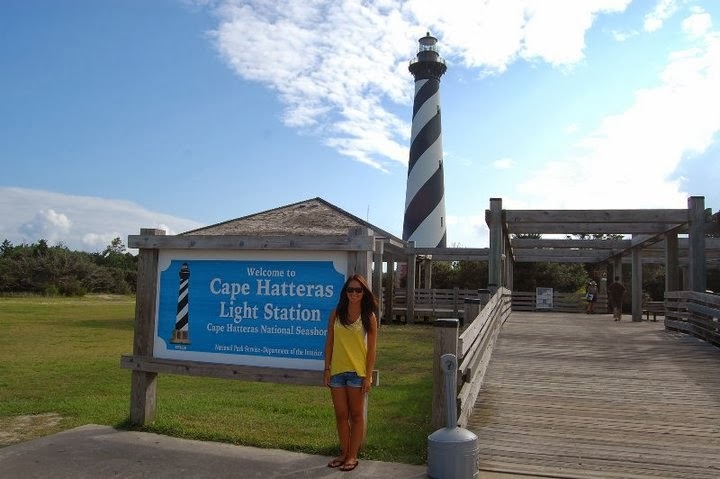 Pictured with the infamous Cape Hatteras Light House, which was actually relocated from the coast inland. 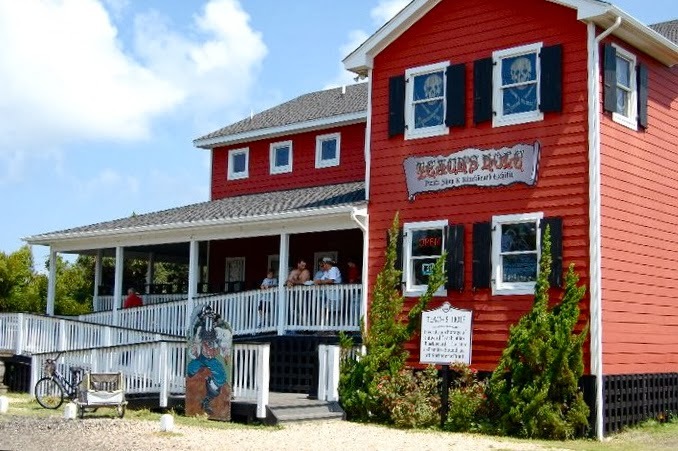 Another thing the Outer Banks is known for? Blackbeard the pirate (also known as Edward Teach) frequented the island of Ocracoke and eventually fought his last fatal battle there. Jockey's Ridge State Park in Nags Head features the largest natural sand dune on the East Coast. This photo does NOT do it justice. While you can imagine how expansive it is judging by the size of the people, you walk the dunes and feel like you're in the Arabian desert. We often come here to fly kites, sand-board down the dunes (or more like roll down like I do, unintentionally), and hang-gliding lessons are offered with the benefit of the awesome winds you'll get at the top of the dunes. Unpredictable weather can bring MASSIVE thunder storms or rain showers. This pouring rain was so strong, I actually took a shower on our driveway. Back home through Virginia and the Blue Ridge Mountains we go. Truly the scenery that now often frequents my wanderlust dreams. Nostalgic for this place. 9 comments on "Sweet Carolina"
So incredibly beautiful. I'm dying to travel after reading this! Thank you that's so nice to read! And travel you will I'm sure, so many places to see, even just here in North America. 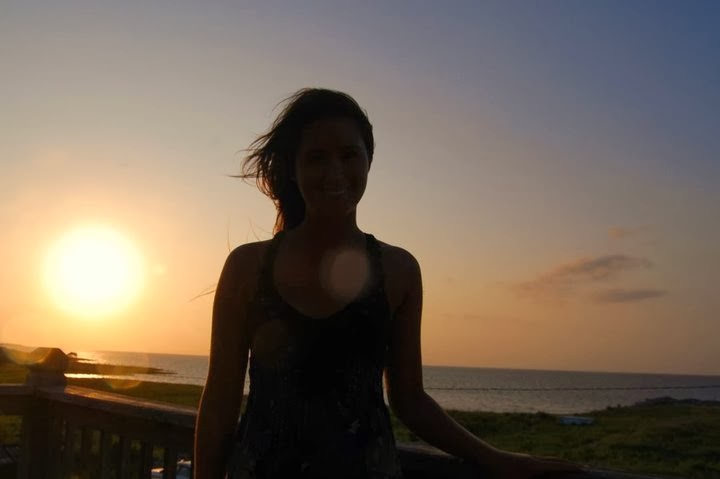 I can't believe that I grew up in South Carolina but never visited the Outer Banks! What a beautiful place. Mmmmmm, I could use a getaway like this! I cannot wait to shed a few layers and get my tan on! Oh girl I hear that haha. But I can't complain, I'm jetting off to Thailand in a few weeks, I'll send back some sunshine for you! I've wanted to go here for so long. This summer, I'm going to make it happen!